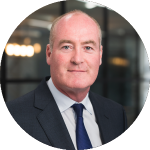 THM pioneered the Chief Restructuring Officer role in the UK and has successfully restructured over 140 businesses with over £158bn of debt. 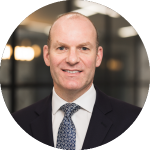 Matt has nearly 25 years’ experience in the operational and financial restructuring of complex multi-national companies. 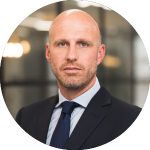 Michael has over 15 years’ experience advising corporates and investors in distressed situations across a number of jurisdictions. 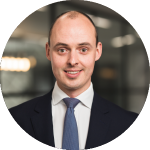 James has worked in restructuring for over 15 years and worked with management teams and boards during financial restructuring transactions or in interim management roles. 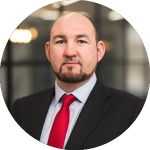 As a business manages its cash flow to avoid drawing on facilities or a “cash crisis” and/or there is an impending debt maturity, creditor pressure mounts. Clear prioritisation and communication with key creditors is essential to avoid compounding the issues being faced by the business. This creates additional burden on management and staff. A restructuring process brings multiple stakeholders and their advisers together and it is common to find the debtor company pulled in many different directions. To achieve a restructuring in a reasonable timeframe effective “crowd” and project management is key. A CRO will bring first class project management to a restructuring. The pressures and challenges of a restructuring process combine to place a huge time burden on the board and management team. Allowing management time to run the business is a critical component in the delivery of a successful restructuring process. In a stressed situation, it is common for the Management Incentive Plans to be “out of the money” and for staff to be concerned about future wage payments. It is essential that key people in the business are sufficiently incentivised to deliver the best outcome for the company and its stakeholders. This is often a sensitive issue best dealt with by an independent party. In a stressed or distressed situation, cash and liquidity can become the key focus. When cash is scarce, the board and management need to prioritise critical payments to provide time to deliver a successful restructuring. Robust cash flow forecasting and reporting is essential both from a cash management perspective and a stakeholder confidence perspective.